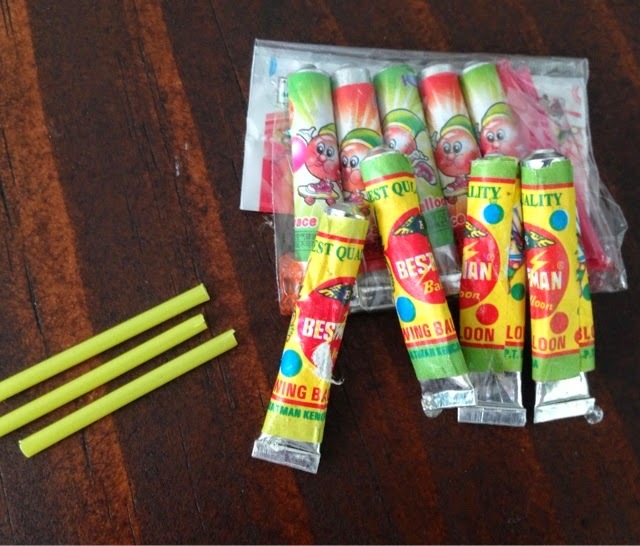 Living in Singapore means that I get to show my kids some of the things I play with when I was a little girl. And this is just one of them! They bring back such wonderful memories. I am teaching the kids how to blow really big bubble, how to mend the bubbles when there are holes, how to make them bigger without the sticks and even how to make one bubble inside the other! 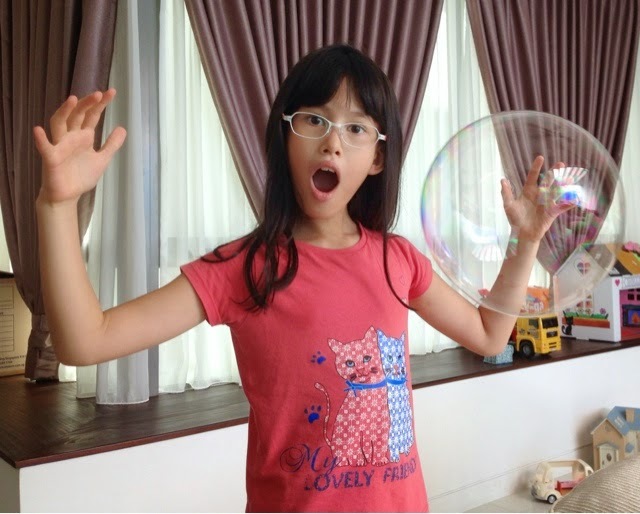 Here's the girl with a bubble that is bigger than her head! I found that these are sold on Amazon.com and are called B'oonies Plastic Balloons! Some other places call it plastic bubbles and blowing balloons. During my time, it was all transparent but now, they come in multiple colours as well!